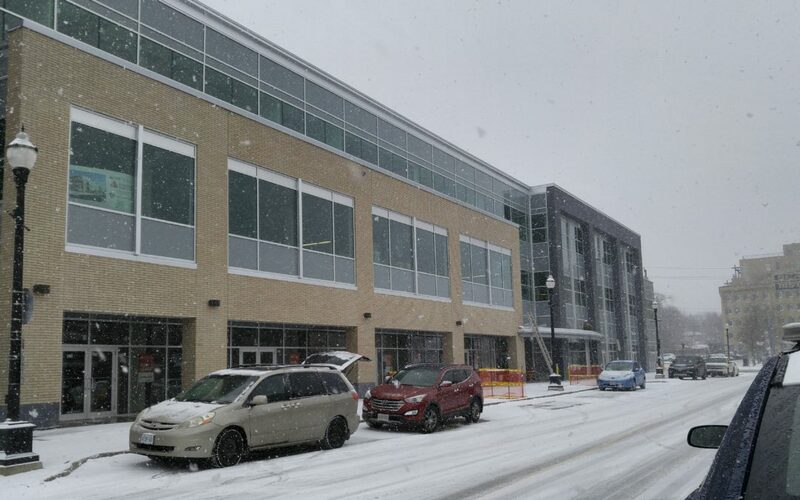 The highly sustainable radiant heat distributed by Petra Building Solutions Inc. has been the chosen system in the project designed by Smith & Andersen Ottawa’s office, for Shopify, the Canadian e-commerce company headquartered in Ottawa. 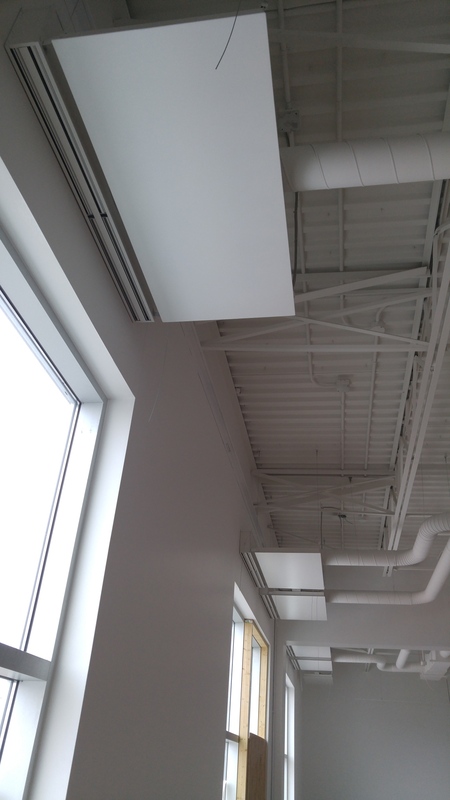 Shopify’s new offices located in Waterloo, Ontario, have been equipped with 170 metal radiant heat ceiling panels. 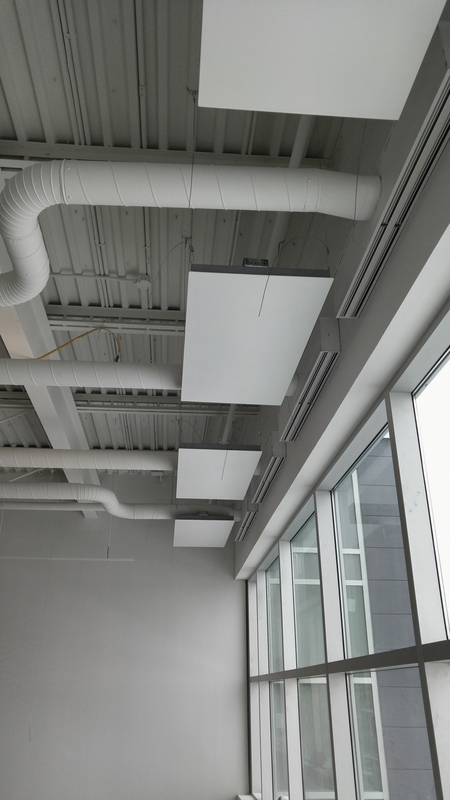 Covering a large open-concept office space area, this heating system will offer great comfort for their employees, thanks to its decentralized controls, which permit adjusting the heat that is distributed to the distinct parts of the building, hence enabling to regulate the temperature according to the different zones’ needs. 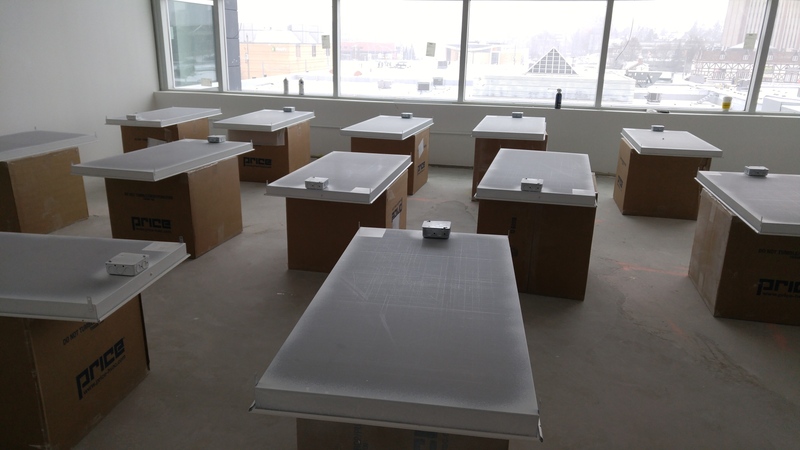 The users of Shopify’s new offices in Waterloo will also benefit of the radiant heat’s considerable health advantages, as it significantly reduces the circulating air, preventing dust particles and possible microbes from being transported in the shared air. 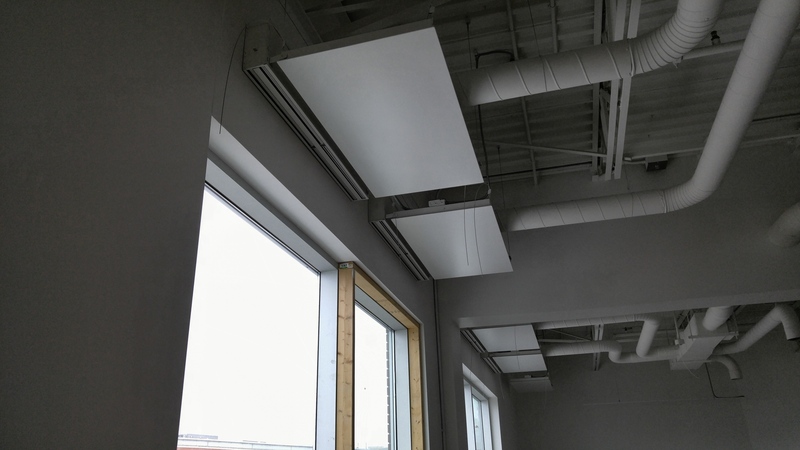 It also contributes to the comfort of employees, especially those sitting close to the windows, as using these panels will eliminate cold drafts, in a more efficient way, as well as condensation on the large windows of Shopify’s offices. From a mechanical point of view, the radiant heat ceiling panels have permitted reducing the size of the ducts of the main heating system. Petra Building Solutions Inc. rejoices seeing an increasing number of great Canadian companies that elect radiant heat as their choice for a sustainable heating system, which uses energy in a more efficient and clean way, providing comfort while reducing costs and energy waste.